What is a Food Action Plan? A food action plan is a community-driven strategic plan that assesses how we grow, distribute, consume, and dispose of food. While each community tailors the plan to their specific needs, most share two common elements: they capture the aspirations of the community around food and farming, and they identify concrete things that can be done to improve the policies, programs, and individual actions that shape how food moves from farm to plate. The food system encompasses how food moves from farms to tables. It includes farmers and the farmland on which food is grown, manufacturers and processors, distributors—from truckers to grocery stores to food banks—and all residents as consumers. It also incorporates the inputs needed and outputs generated at each step, including food waste. 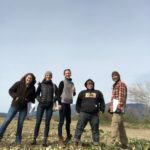 There are no defined geographical boundaries of our food system, but for the purposes of this plan, we localize the system to be Santa Barbara County.